Kittu, the little kid asks Naira to come with her to greet the person who shifted newly. Kirti sees baby’s picture and suddenly Naksh comes and becomes sad and asks you were seeing the baby’s picture. Kirti says no I was seeing an article and it named me as the famous designer. Naira knocks on the door and there comes the Kartik, she becomes shocked and Kartik also remains amazed. Kartik talks to small Kittu and Kittu says this bhaiya is so good and I have talked to him before also. The welcome committee comes and asks Naitik to come with them to welcome the new member of the society. Naitik says okay i will come. Naira comes and stops him. She says dad cannot go as he has some work. The woman says fine we will go. Naitik asks what happened princess what you have to tell me. Naira says please do not go. Kartik comes out of the room and everyone surrounds him. They say we live like a family and if you need anything then tell us. 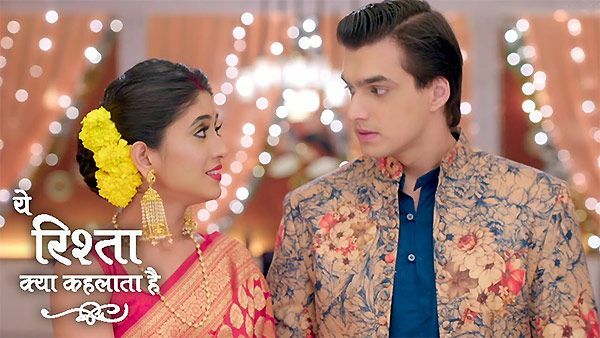 Kittu asks Kartik to have kachori as Naira has made it. Kartik becomes uncomfortable and says i have to leave. He thinks what Naira wants now and she never looked back. He becomes angry. Naira goes to college and Kartik also thinks that Naira wants me to come late. Kirti gets flowers from her mother. She again gets flowers from Naksh. She becomes happy.